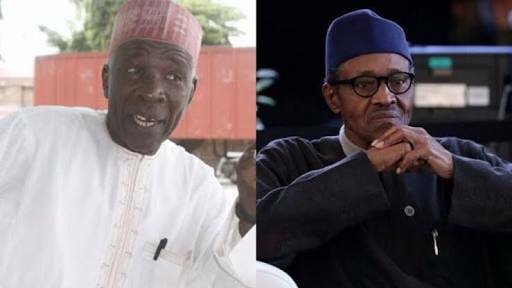 Two days after some aggrieved chieftains of the All Progressives Congress (APC) launched the Reformed APC, its chairman, Buba Galadima, has declared that the mother of all shocks is underway for the ruling party and the Presidency. This is as he accused some people around President Muhammadu Buhari of reeking in corruption. He claimed that more surprises will follow in the coming days. In an exclusive chat with Saturday Sun, the Yobe-born politician, who is an old ally of President Buhari, said, governors and some serving ministers who are members of APC, will soon join its fold. He said that the renouncing of the party by some chieftains in Kwara State will be replicated in several states soon. He however did not state the specific day such will take place. On Wednesday, at a well-attended press conference in Abuja, leaders of the new breakaway party, said they had the support of all the legacy parties that formed APC even as they refused to rule out that Senate President, Bukola Saraki and Speaker of the House of Reps, Yakubu Dogara, as well as other aggrieved members will soon join them. At the press conference, Galadima, said some chieftains of the party were compelled to take the new step because the APC has derailed from its original plans and vision. Speaking with Saturday Sun, he said: “I can tell you that we have more surprises coming. The shocker is such that it will take APC and its leaders by surprise. This is something I can confirm to you. You remember what the leaders of APC in Kwara State told Saraki to lead them out of the party? That will happen in more states. More states will follow suit and it will be like that going forward. Also speaking on a morning show on African Independent Television (AIT) yesterday, Galadima said he will disprove those who have dismissed his influence. Emphasising his incorruptibility, he said, “For those that know me from 1959 when I started school to date, I have never been found with anything even those that tried to destroy me could not destroy my character and integrity. Back to the crisis rocking APC, Daily Sun reports that said the problem within the “APC did not start from the election tussle of the National Assembly because for me that was democracy in action and once legislators are appointed, they put aside their political differences and work as one unit to produce laws for the good governance of the country and also as an arm of government to provide checks and balances to the excess of the government from whatever party the president comes from. “The real problem of the APC started because those of us who are founding members of this party, those who made life sacrifice, those of us Nigerians with impeccable patriotism that came together because of the slide then and decided to submerge and subsume our interest to form the APC. He maintained, “The crisis has been on but it took different dimensions when the tenure of the immediate national officers was expiring. Different interests started resurfacing and through to it, all the ideals for which we formed the APC were thrown to the dustbin. Those of us who are patriotic, who have made sacrifices to bring about the formation of this party cannot sit idly and watch them destroy our sweat. “ He argued that the current crisis is the worst the party has experienced . He said “this is the beginning of what you call crisis. I should say that I am glad that Nigerians of all walks of life have shown solidarity with us. On his problem with President Buhari, he explained “I don’t have any problem with Mr President but I assisted him since 2002. I have made more contributions than even himself in becoming the President of Nigeria. Maybe I should tell the world that because of him, I have suffered intimidation, arrests, questioning about 38 times. “Not only that, I was detained in an underground prison, chained hands and legs and tried for treason because of him. All these people around now were the people fighting us then. Some of these people were receiving money from the government of the time during elections in conducting fake research and using their positions as members of the trade union to say that the election was conducted fairly but today they are Buhari people. I am shocked.